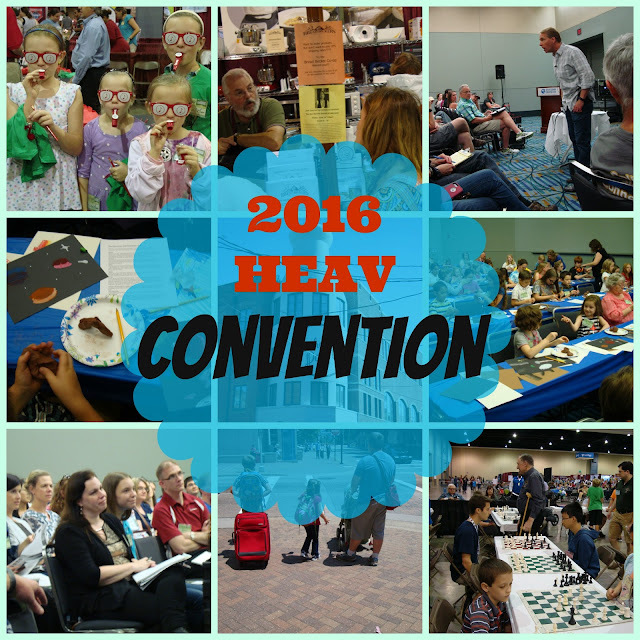 This was my third time attending a HEAV convention but my first time going as a convention blogger. What an amazing opportunity! 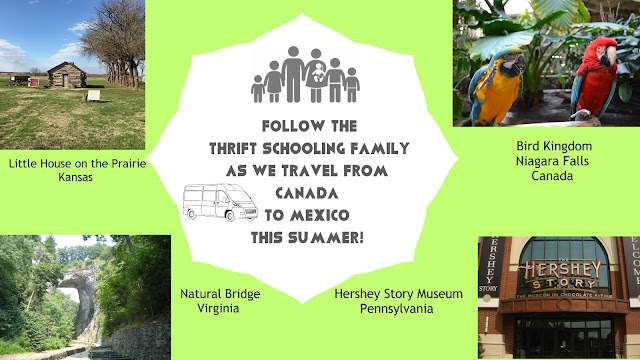 I was able to make new connections with both bloggers and vendors all while sharing my experience with the homeschooling community. As we traveled to the convention, about a three and a half hour drive, we listened to the Christian, audio drama, The Brinkman Adventures. My whole family enjoys listening to this series about a large family who have a heart for missions. At the convention, we were able to meet two of the kids from this production, Gracie and Isaac. My children were thrilled to put faces behind the names! It was a blast meeting them. We also made sure to pick up another set of CD's to enjoy on the car ride home! The Thursday art class with Sharon Jeffus of Visual Manna and the annual homeschool chess tournament were a big hit with my kids! My older boys loved working with clay and creating their own works of art. The class was packed and I even met parents who were bummed that they didn't sign their kids up in time, so if you want to sign your child up for a Thursday class next year, do it early! Also, the chess tournament was fun to watch. My oldest son was nervous going in but was thrilled to walk out with a trophy. This opportunity certainly was a good boost for his confidence! From the hotel stay to the good eats, we enjoyed simply being the city. My kids are not used to the lights, sounds and experiences of the city so this was a big deal to them. They even asked to sleep with the curtains pulled open at night so they could watch the city lights. We love trying out new restaurants so we had fun walking around and giving new ones a shot each evening. The old buildings were impressive as well, it certainly added to the experience as a whole. My husband had a chance to go to his sessions, which he really enjoyed. It was certainly a highlight even though I only had the opportunity to sit in on a part of it, due to a verbal baby! Just seeing my son and husband excited after hearing him speak was a highlight for me! I wanted my kids to experience at least one keynote. It's a different experience than the workshops. Mike Farris shared about the relevance of homeschooling in today's day and age and I appreciated his message. Free samples? Yes, please! We kept coming back to this booth to try homemade pancakes and other goodies throughout the convention. We weren't able to hear Sue Becker speak but she handed out CD's of former sessions. We brought them home and listened to them once everything calmed down and it was powerful! And yes, we are now looking for a grain mill, haha! I loved the humor used to address difficult topics such as discipline. All my son remembers from the session is the fact that he referenced to Legos and Leave It To Beaver, but he loved it! I've even begun to implement some of his suggestions in my own disciplinary actions. Used books, need I say more? I really am thankful for the exhibit hall because there are certain materials that I can only get there but the used curriculum sale is a huge blessing too! I could spend hours in that sale but even though I only got in there for a short time, I was extremley thankful for what I found! And the best part? I sold some items there and made about the same amount that I spent! Perfect. This was the first year that my family joined me and it certainly won't be the last! It made the experience so much richer having them there. They are already talking about how they can't wait to come back next year! Disclaimer: I received a full convention pass in exchange for being a convention blogger.All opinions stated here are my own.